The American mosquitofish, Gambusia holbrooki, is a worldwide invasive species. Multiple paternity might contribute to the invasive success of this species, by locally increasing effective population size. Using microsatellite loci, we examined multiple paternity of mosquitofish in Spanish basins. The percentage of gravid females that mated multiple times (greater than 60%), the average brood size (13.2), and the average number of sires per female brood (3–4) in the invaded basins were similar to values reported in America. Partial correlation showed that female size was not related to the number of sires independent of brood size. In addition, positive correlations between female size and the effective number of sires, or the reproductive skew were dependent on brood size. A relevant percentage of females mating with more than 3 sires suggested enhanced opportunities for transmission of diversity to subsequent generations in Spanish populations. Within broods, a dominant male often sired half of the brood. These results suggest multiple paternity is common in invaded populations. 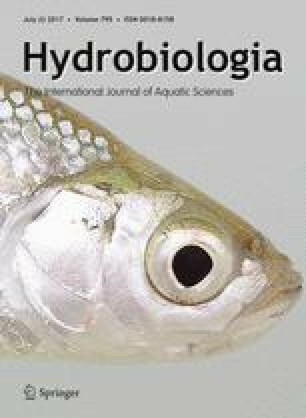 Together with known reproductive tactics of mosquitofish giving to any mature individual the chance for mating regardless of size or age, possibly multiple paternity facilitate the persistence of the genetic diversity of local populations. The online version of this article (doi: 10.1007/s10750-017-3125-3) contains supplementary material, which is available to authorized users.